Custom fabricated sapphire windows that can withstand extreme pressures and the rigors of harsh subsea applications while providing optimum visibility are available from Meller Optics, Inc. of Providence, Rhode Island. 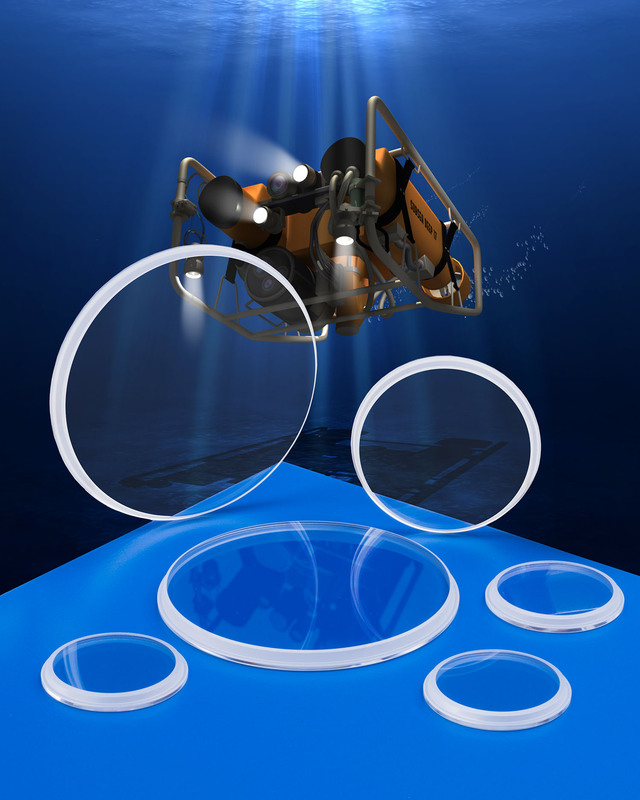 Meller Sapphire Windows are ideal for subsea UAV applications requiring a clear, hard optical material that can withstand high pressures to 10,000 psi and resist salt water, chemicals and fast moving particles. Featuring Moh 9 hardness which is second only to diamond, they can be manufactured to specification in a wide range of sizes with varying thicknesses, mounting profiles, steps, and edge treatments to assure a reliable fit and seal. Fabricated with flatness held to 0.5 fringes of HeNe and parallelism from 20 to 2 arc/secs., Meller Sapphire Windows can be made in sizes from 1/4” to 10” dia. and 1/2 mm to 1” thick, depending upon configuration and can include A/R coatings. Other sapphire optics include domes and lenses with focal lengths from 3/4” to 1,000 mm or greater and surface finishes from 60-40 to 40-20 scratch-dig, depending upon size and configuration. Meller Sapphire Windows are priced according to configuration, size, and quantity. Literature and price quotations are available upon request.